Nice set of photos on flickr from After Hours performance with Dan and Naomi here. 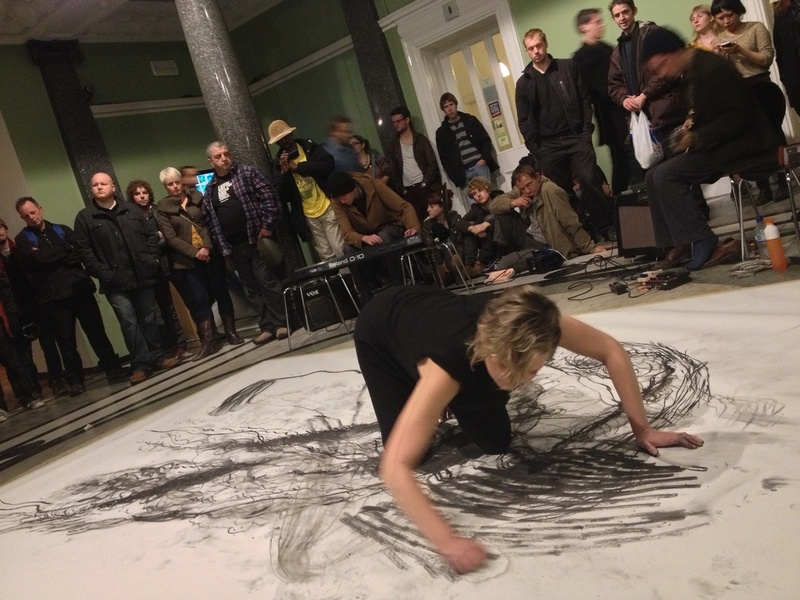 Some interesting reflections here from an audience member on the music drawing performance with Dan and Naomi on Saturday night. I enjoyed how the piece highlights the importance of the role of audience as active participants in an improvised performance. Being involved as a party within the performance through active listening and viewing, a space is opened up and sustained for the performers to work with the risks and possibilities inherent in improvising. At the same time the audience can view of the totality of the work while the performs are only aware of fragments.